Treasure Buddies DVD Review Even though this film is made of kids, they will get restless and will probably wonder why you didn't buy or rent that Pixar film with the CGI. 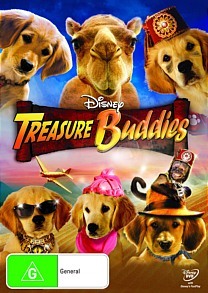 Disney's Treasure Buddies continues the "Buddies" franchise which reunites five Labrador puppies called Budderball (Tucker Albrizzi), B-Dawg (Skyler Gisondo), Rosebud (G. Hannelius), Mudbud (Ty Panitz) and Buddha (Charles Henry Wyson) as they travel to Egypt to save the world from a nefarious cat called Ubasti (Elaine Hendrix). Unfortunately this movie suffers from an identity crisis quite early on and merges the movies Indiana Jones, The Mummy and Cats & Dogs into a truly horrible adventure. The whole premise screams of a Hollywood boardroom script as they attempt to cash in on the previous films in order to breath life into the Buddies. It fails on all accounts. To make matters worse, the acting by the humans is mediocre and the "Egyptian" sets just look like poor studio sets. The special effects also fail to impress. In relation to a plot, the film follows Pete (Mason Cook) and his archaeologist grand father (Richard Riehle) who have been hired to uncover the secret tomb of Cleopatra's cat. However the buddies must once again step up to the plate when they discover that the evil cat called Ubasti is hoping to find an ancient artifact in this tomb to make cats man's best friends. Only the buddies can save the say and ensure that world is safe for both man and dogkind. Add in some rather flat gags and even more flat acting and Treasure Buddies goes down quicker than the Hindenburg. Video and audio quality are good for a straight to DVD movie and there is less than a pawful of special features, one music video if I recall correctly. Even though this film is made of kids, they will get restless and will probably wonder why you didn't buy or rent that Pixar film with the CGI. 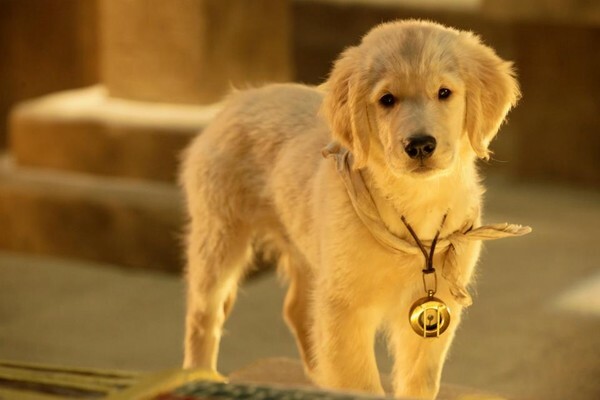 Not even the cute puppies can save this film.